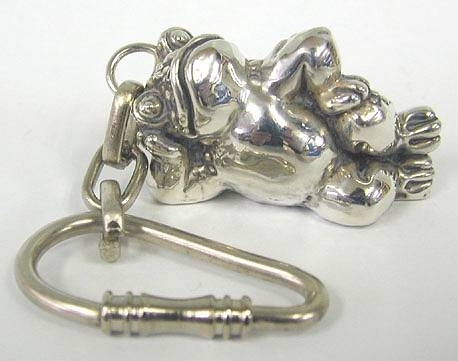 Sterling Silver Frog Highly sought after by collectors this beautiful key chain in shaped as a highly detailed laying frog. 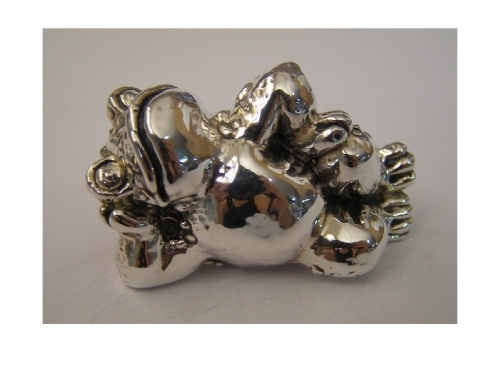 This item was made in the electroforming method. A wonderful key chain that will make a great gift to your friends. Measurements : Marks : Height: 28mm. / 1.1in. Width: 51mm. / 2in. 1 inch = 2.54cm 925 for sterling silver. Weight : 32.7gr. / 1.051oz.